From Craig Johnson: “Friends and family have asked about the benefits of going to the Transformation Camp in person and my short answer is that it is LIFE CHANGING! Since the beginning of the year I have lost 44 lbs of bodyfat and 7 inches from my waist. My knee is finally pain free which has allowed me to pursue my favorite activity of golfing again and I just finished my first 21 mile bike event and still had energy to burn! “You can’t help but to be inspired to immediate action after attending Bill Phillips’ honest holistic approach to health and fitness and his enthusiasm for transforming your life. Bill emphasized “progress not perfection” which later became my mantra and changed how I would approach a healthier lifestyle that was not a ‘diet.’ Bill also took the time to address the important facts against the many myths of health and fitness that gave me the straightforward information I needed. Then, once I was armed with the knowledge, tools, and support provided at camp I began my own journey towards health and progress that I enjoy today. At age 63, this Man is Transforming his Body and Life! Bill Phillips working out and having fun with Bruce Blockus, age 63, at Transformation Camp in Colorado. 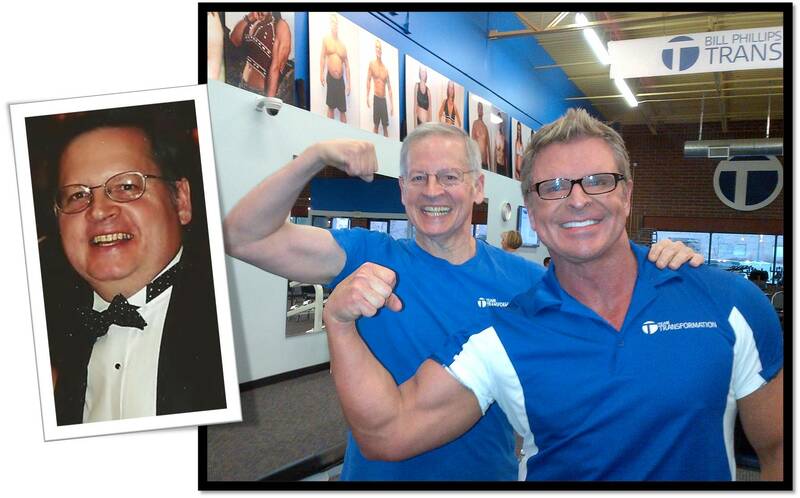 As you can see from Bruce’s ‘before photo’ he has completely transformed his health, losing over 60 lbs. of bodyfat while gaining strength and energy. He did it with smart exercise, good nutrition, and the enthusiastic support of his Camp community and friends. 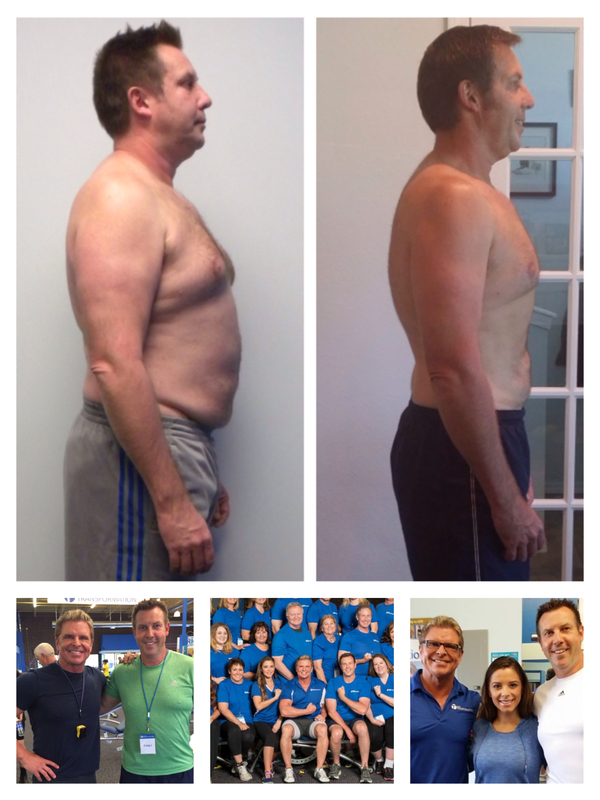 Bruce has overcome tremendous adversity to successfully transform his body and strengthen his life. Bruce works out hard when we hit the weights and he is consistently improving. He takes the lead when it comes to helping others learn how to lose unhealthy weight and understands the deeply emotional struggles that the transformation process can involve. We are grateful that Bruce is going to be joining us for our new and improved LIFE CAMP on May 16, 17, 18 and we look forward to seeing his smile and benefiting from the inspirational life example that he embodies! 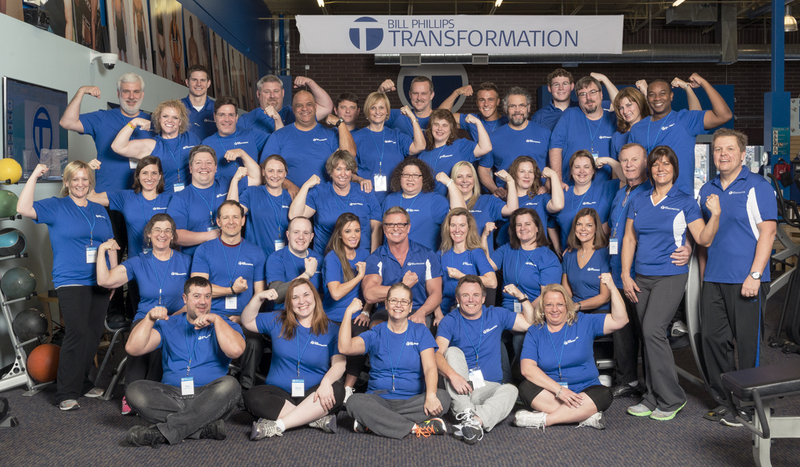 Transformation Camp Series Finishes With Success! We have just this weekend’s Super 3-Day Camp to enjoy and then our two year project wraps up. With 37 Sold Out Camps and over 1,100 participants all total, the Transformation Camp Project went above and beyond my highest expectations for it! What an incredible experience it has been meeting and getting to know so many wonderful people, from all walks of life, who literally came from all corners of our world, with one thing in common: the desire to be healthier and to improve. I never imagined this project would be so fun and enjoyable! It was also an honor and pleasure to be your teacher for the time you spent here. We shared a lot of laughter and some tears; good food and great workouts; we talked face to face about the challenges life brings our way; the mistakes we’ve made; and we helped each other find strength inside of us that many didn’t even know was there. In our speaking circles, I saw so much courage, I heard so much truth, I felt so much real, authentic, heart centered emotion. I was deeply touched and inspired by the strength and resiliency of the human spirit of our camp participants. And, I was stunned, over and over again, by the magnitude of the changes I saw camp participants make in the weeks after they went home and put their new knowledge into action. The power we each have to transform our lives in beyond measure. I said two years ago when I started the camp series that it would be life changing. I know that intention has come to pass because it has absolutely changed mine… much more than I could have ever hoped for. I am healthier, happier, more aware, and maybe even a little wiser than I was before. Camp has been a blessing. I have a beautiful and bright wife, Maria, and we have an exciting and inspiring life and future thanks to Transformation Camp. I have connected, in meaningful ways, with people from all over the world who have helped me learn so much about life and living. THANK YOU so much to each person who traveled to Transformation Center and who gave me the special opportunity to share my knowledge and some of my over-flowing passion and enthusiasm for fitness with you! And thank you to all the volunteers, the workers, and to all our guest speakers for helping me so much — your efforts made a real and positive difference in the lives of many, including mine. For this, I am forever grateful and wish you the best of health always as your journey through life moves forward and continues to unfold. I am diving into my next projects now; one of which is writing a book about what I learned and realized through my time at Transformation Center. The stories I have selected to share in the book will inspire you, teach you, uplift you, make you smile, and most of all… help you discover and believe in your own incredible power and ability to make stunning changes in your body and life! I am also expanding our Right Nutraceuticals line of products and I am going to finally finish the new version of my website at Transformation.com which is all about how others have transformed their bodies and how YOU can do it too! I will keep you posted on these new and exciting endeavors which I hope will be as rewarding, inspiring, and fun as my two years at Transformation Camp! NOTE: I repeat, at this time we have no further Camps planned and there is not a spot left available to anyone. I apologize to all the people who wanted to experience Transformation Camp but were unable to get in due to high demand and low availability of positions. We have an invitation only alumni camp party this summer but that is it. Okay… let’s see. There are two photos of me posted along with my words. The photo on the right is me today, age 49. On the Left is ME in pretty bad condition, 2 years ago. In the summer of 2011 I had brutal accident which required emergency surgery and which put me in the hospital, then a wheelchair, then in a hospital bed at home for months. Just like everybody else, with inactivity and too much comfort food (ice cream is an incredible pain killer), I lost so much of my muscle and I gained fat… and I aged fast. I was so embarrassed and just literally in tears (inactivity and depression go hand in hand). But I knew what to do to pull out of the tailspin. Two years ago this month (in the Autumn of 2011 at age 47), I decided to completely change and rebuild my body and life. I developed an new, inspiring vision for my future and transformed it into steps and stages… monthly, weekly, and daily goals were set and met. I created a new, positive environment and got support from true friends. Of course I had to completely change my eating and work hard in the weight room to rebuild my strength. I put my heart and soul into it and applied the key knowledge I have learned over the years… I put it to work very enthusiastically in my own life. I will tell the complete story and give my exact workout and nutrition and supplement program in an upcoming blog on my site BillPhillipsNews.com — watch for the whole story a week from today. For now I can tell you this: I am more grateful for a healthy and strong body now than I EVER was before! I am grateful to be pain free and alive. My life has changed even more than my body since the devastating accident I had back in 2011. I wouldn’t go back and change any of it if I could because it has all been an edifying, humbling (although very embarrassing) and transformative experience. I have a new life today… a beautiful and smart and incredible wife now and a new fitness business which allows me to put my passion for fitness to work everyday! I tell my students and clients today what I learned painfully and personally… we all respond the same way to inactivity and over eating… I am just like you. And you are just like me in that when you start working out and eating right and you follow a smart plan, your body will reward you with incredible changes and renewed health! Don’t be surprised if what feels like your greatest adversity today becomes your biggest blessing two years from now… that is what happened for me and I thank God each day for helping me wake up to LIFE again! !